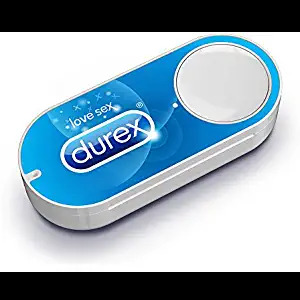 Amazon Dash Button is a Wi-Fi-connected device that reorders your favourite product with the press of a button. Each Dash Button is paired with a product of your choice, which is selected during the setup process. When you're running low, simply press Dash Button—ensuring you never run out of your essentials again. Dash Button is set up and managed through the Amazon App on your Android or iOS smartphone, and works in any location with a Wi-Fi connection. Once setup is complete, a notification (if enabled) is sent to your smartphone every time an order is placed. With this setting, Dash Button will not place a new order until your prior order is delivered—regardless of how many times Dash Button is pressed. In addition, you will receive an order notification (if enabled) for every order placed, allowing you to cancel an order before it is dispatched. You have a free return policy here for products purchased through Dash Button. Buy Dash Button for £4.99, and get a £4.99 discount after your first press.